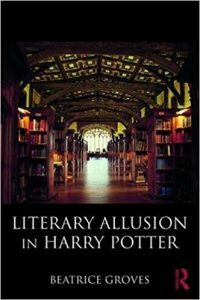 Beatrice Groves, author of Literary Allusion in Harry Potter (a great holiday present to self or other Potter Pundits you know), recently gave an interview on the merits of Harry Potter as literature on an American radio station in Utah. You can listen — via this link to BYU Radio’s online archives — to Lisa Valentine Clark‘s talk with the resident Hogwarts maven and Serious Striker at Trinity College, Oxford University. Enjoy!